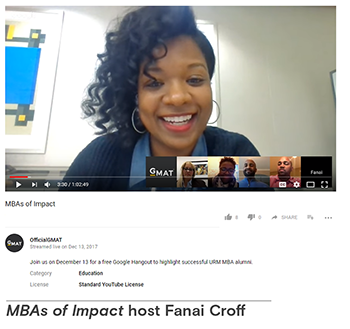 In this Spotlight series, GMAC will showcase successful MBA alumni of color who agreed to share their personal journeys to earning their degrees and achieving career success. As each path towards an MBA is different, each graduate's story is also unique in how they have leveraged their MBA experience. We hope these professionals of color inspire you to think about how to master your unique career path and journey.